While some people prefer to join organised group treks in Nepal, we know that many of you like to take a more hands on approach and find your own trekking guide in Nepal. That's why we've developed a range of DIY Nepal guide finding and other Nepal trekking services to suit your needs. As always, if you have any questions about the services we offer, just contact Elite Trekkers and we'll do everything we can to help you out. 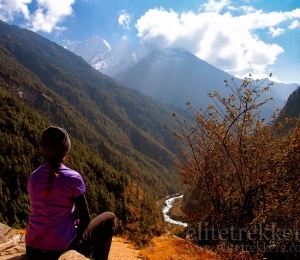 Our Nepal Trekking Guide Finder service is the perfect tool for independent trekkers to arrange a team of guides and porters in Nepal, without any extra costs. 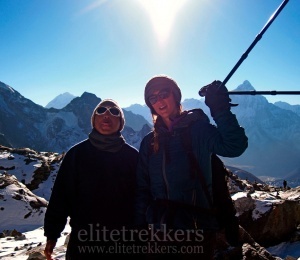 These are our standard rates for hiring a Nepal trekking guide or porter. All our staff get paid a decent living wage, we pride ourselves on this. Our Nepal guide & porter finding service - how it works and what to expect when you find a trekking guide or porter in Nepal with us. 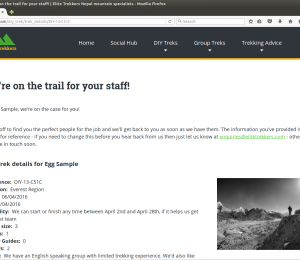 The Trekkers' Information Management System (TIMS) has been implemented to ensure safety and security of the trekkers and to control illegal operations.